Buy Josh Turner Rodeo Tickets for the Houston Rodeo at NRG Stadium - Get your Josh Otis Turner concert tickets from Houston Rodeo Online. 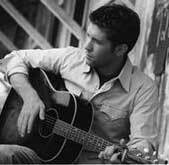 Josh Otis Turner (born November 20, 1977 in Hannah, South Carolina) is an American country music singer. Turner possesses a very distinctive bass voice. Pronounced a successful country artist from the start, Turner's first album, Long Black Train, was certified platinum. His sophomore album, Your Man, spawned two #1 country singles, two Grammy nominations and has spent forty weeks in the top 50 of Billboard's Hot 200 albums chart. In early 2006, Turner released his sophomore album, Your Man. The album's first single and title track, "Your Man", was released in late 2005. The track's music video featured Josh with his wife, Jennifer, in a hotel room together. The song went on to become Turner's biggest hit at the time, hitting #1 on the US Country chart and climbing to #38 on the Hot 100. The song also did well in digital downloads. Your Man was certified Gold by the RIAA just 4 weeks after its release. By comparison, it took Long Black Train 12 weeks to attain Gold certification. Your Manwas certified Platinum seven months after its release. This came in the midst of a sales surge for the album. Twenty-four weeks into it's release, the album began seeing weekly increases and eventually re-appeared in the top 30 albums in the United States. "Would You Go With Me" was the second single released from Your Man. The song debuted at #47 on Billboard's Country chart and climbed into the top 40 in its third week. The eventually became Turner's second consecutive #1 single, staying at the top for two weeks. "Would You Go With Me" was a download hit and is considered Turner's biggest hit to date. Weeks after the song peaked on the charts, Turner performed it on the CMA Awards in November 2006. As a result, the song shot back up the download charts and re-emerged on the top half of the Hot 100 at #48. Shortly after the albums release, it was speculated that Turner's collaboration with Ralph Stanley and Diamond Rio, "Me and God", would be released as a single to Christian radio. The song received a good deal of success among the Christian Country circuit and was eventually released as Turner's third single from Your Man to country radio. It debuted on the US Country chart at #54. Other songs that are speculated to be future singles off of Your Man are "White Noise", Turner's duet with John Anderson and fan favorite, "Loretta Lynn's Lincoln." In December 2006, the 49th Annual Grammy Award nominations were announced. Turner received nods for Best Male Country Vocal Performance and for Best Country Album. Houston Rodeo Tickets Online is your source for Josh Turner tickets and all your entertainment needs. Order tickets online or call us at 281.489.1118.